Unit 5 is a modern warehouse with approximate eaves height of 6m (20') and is accessed via a 4m wide x 5m high electrically operated roller shutter door. Terms: Introductory rent from £1 psf. Three interconnected modern light industrial units suitable for storage/workshop space. Available on a new full repairing and insuring lease for a minimum term of 3 years and subject to a deposit equivalent to three months rent. 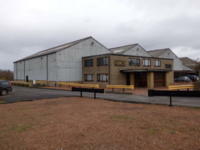 A light industrial unit set on one of Carlisle's most popular trading estates. The unit comprises a workshop, trade counter, offices, stores and WC's. Parking is provided immediately outside the unit. 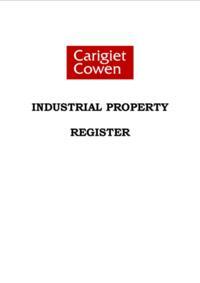 Terms: Available TO LET on a new FRI lease for a term of years to be agreed from 25th March 2019. The Scheme provides 11 no.high quality business units in two detached terraced blocks. Constructed to a BREEAM 'Very High' standard offering excellent levels of energy efficiency, in excess of current environmental recommendations. * Government support to ensure that superfast broadband is rolled out throughout the zone. New FRI lease for a term of years to be agreed. Two bays of a 5 bay warehouse. 3 bays of a 5 bay warehouse. Immediately available by way of new FRI lease on terms to be agreed. 5 bay warehouse/production unit with full height concrete panel walls externally clad in profile metal sheet. Level loading facilities, together with covered dock level facility. Good quality space at very cost effective rent. Recently refurbished detached workshop/warehouse unit incorporating integral offices, staff and WC facilities. Vehicular access is via 2 no. roller shutter doors. The unit has a clear eaves height of 5m(16'5"). Externally the unit has a good sized forecourt parking area. 2 no. self contained refurbished units within a popular trade counter development. Each unit has good quality office and ancillary space, along front elevation, together with a single roller shutter vehicular access door. sq ft office & ancillary. Floor loading 50 kn per sq m.
Wire guided Atlet Omni forklift. Adjacent to the successful Box Clever Self Storage facility. Flexible arrangements can be accommodated. The space is available as a whole or smaller lets may be considered. Detached industrial unit with adjoining two storey office block and single storey side extension. Externally, the site provides extensive car parking and open storage land. Alternatively, consideration could be given to a sale of the freehold interest with a guide price of £265,000. Units 1 and 3 are Let to 2 no. well established companies. For Sale as an investment with a rent roll of £24,750 p.a.